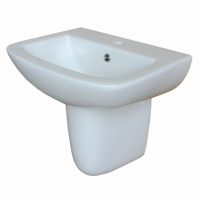 The Windsor 480 Compact is a compact, mid-size basin which is perfect for modern bathrooms. 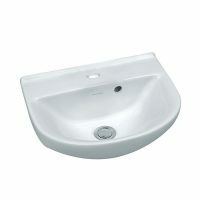 Featuring a simple, but functional design, it is a versatile basin which is suitable for a variety of installations. Offering a capacity of 2.4 litres, the Windsor 480 Compact is supplied with the PW2 plastic overflow plug and waste and includes one tap hole. Designed to offer the best of both good looks and practicality, it includes a wide soap platform area and offers easy installation in any space. 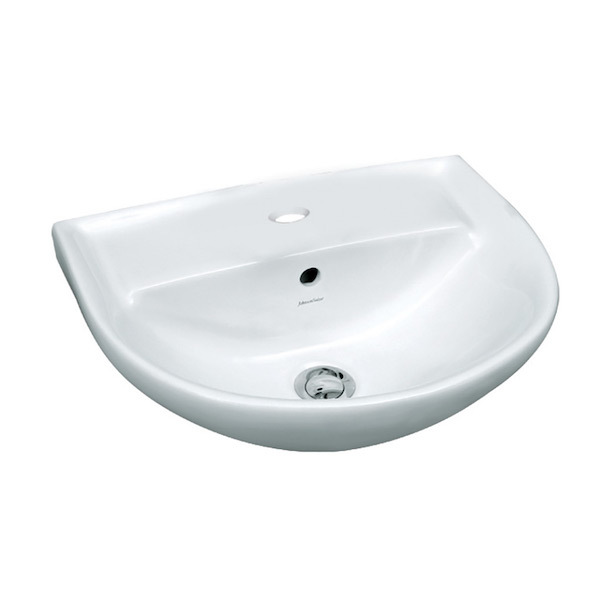 Enjoy the very best in quality with the Windsor 480 Compact basin. Due to the superior quality of manufacturing and top-level artistry, it offers added longevity. 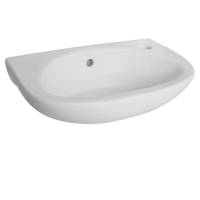 For a versatile mid-size basin for bathrooms in Perth, you’ll find nothing better than the Windsor 480 at Ross’s Discount Home Centre. Shop from our online store today to purchase this compact bathroom basin at the lowest price in the market and take advantage of our free delivery across Perth Metro!